Final Fantasy XIV: A Realm Reborn‘s Mac Client was launched with very serious performance issues, preventing many customers to enjoy the game they purchased. 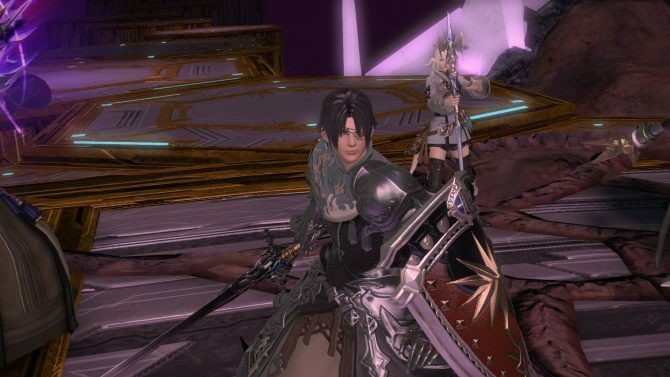 Producer and Director Naoki Yoshida issued a statement on the Lodestone, not only offering full refunds, but also giving one of the most detailed and transparent explanations I saw of a development screw up. 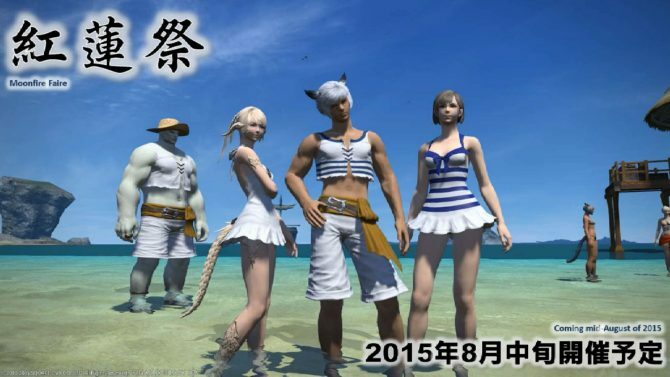 “Producer and Director Naoki Yoshida here. We have received a great deal of feedback regarding the performance of the Mac version, as well as various problems which resulted from the information we provided prior to its release. For these issues, we apologize. I would like to discuss the various issues with the client and their underlying causes. However, as this will make for a rather long explanation, I think it best that we begin with refunds. If you have purchased a copy of the Mac version of FINAL FANTASY XIV Online and wish to receive a refund, please contact the store or website from which you purchased it. Please note that the procedure will vary depending on the retailer. If you used game cards to purchase a subscription for use with the Mac version, once we have confirmed that you possess a Mac version license, we will refund your purchase. I believe that the biggest problem with the Mac version release was the significant discrepancy between the performance of the product our development team produced and the expectations our customers had for it, which was due to the lack of information available on our product when sales commenced, as well as other issues. I would like to explain in detail how this happened. Because of this situation, many of you purchased a product which your Mac hardware could not run at even the minimum system requirements, resulting in insufficient performance, for which many of you have expressed your dissatisfaction. Had we provided accurate information beforehand, I know many of you would not have purchased the Mac version, which is why we decided to offer full refunds. Once again, I apologize. In order to address several issues prior to the Mac version’s release, we planned to conduct maintenance which would conclude on June 23rd at 6:00 PM (JST). However, due to our miscommunication with retailers, the Mac version was made available earlier than intended. As a result, some customers were able to download and play a pre-release build which suffered from performance problems. We apologize for this oversight. We have judged that there is still a lack of information on the Mac version and its system requirements. We are planning to make an announcement which will include detailed information on the product, system requirements, and screen resolution. Until this is done, and I am personally satisfied that our users are adequately informed, we will be suspending the sale of the Mac version. I sincerely apologize for any inconvenience this will cause to those interested in purchasing the Mac version, and ask that you bear with us until sales recommence. For those who already have a Mac version of the game, as service itself will not be suspended, please rest assured you will be able to continue playing as before. Along with various external sites, this thread has become a hot spot for speculation, but some of that speculation is being done with limited grasp of Mac OS and Boot Camp specifications, among other things. As such, I would like to take a moment to reiterate our policy on the development of the FFXIV Mac version and outline our future plans. As Kasuga, our technical director and lead programmer, explained some days ago, the Mac version of FFXIV has been developed especially for Mac systems. It does not use a boot utility such as Boot Camp to run via a Windows OS on Mac hardware. Rather, it works by employing middleware developed by TransGaming (presently NVIDIA) to convert Windows’ DirectX drawing method into OpenGL on Mac systems. In case you are unfamiliar with Boot Camp, it is a means by which Mac hardware can be made to run a Windows OS, and separately from a Mac OS. For instance, if you were to use Boot Camp to run Windows7 on a Mac system, you would be able to install and run a Windows version of FFXIV. However, even though the game appears to be running on Mac hardware, it is strictly the Windows version, which uses DirectX. Please bear this point in mind. If you were to compare a Windows version of FFXIV running in the above manner to a true Mac version of FFXIV, it would be a comparison across different systems with different technologies. This results in a fundamental difference in performance. Supported by Windows, DirectX technology is geared towards games. Microsoft developed DirectX specifically for Windows platforms, and so it doesn’t work on Mac systems. Instead, Mac systems use OpenGL for 3D rendering, a technology that is fundamentally different. OpenGL is a general-purpose, multi-platform application programming interface (API) for rendering 2D and 3D vector graphics. As OpenGL provides only the API toolset, its performance is dependent on implementation. This difference becomes more pronounced when running the game on lower spec Mac systems. For instance, a low-spec Windows PC may run the game adequately, but a Mac system with equivalent hardware may suffer from greatly reduced frame rates, further exacerbating the performance gap. And so, due to differences in OSes and technology, even when hardware is comparable, it is impossible to achieve parity in performance between Windows and Mac versions of FFXIV. As Mac users will know, relatively few high-end 3D games are released for Mac systems compared to Windows. (This is believed to be due to poor cost-benefit performance.) As a result, it has become common practice for Mac users to turn to boot utilities such as Boot Camp to install a Windows OS in order to play Windows versions of games. ■Why make a Mac version? Upon reading the sections above, users of the Windows version may wonder why we decided to create and sell a Mac version of the game despite knowing that the performance would be not be as optimized. After all, boot utilities such as Boot Camp can be used to play a Windows version of the game on a Mac system. Even though it appears to work on a Mac OS, however, the game is in fact running on a Windows OS. 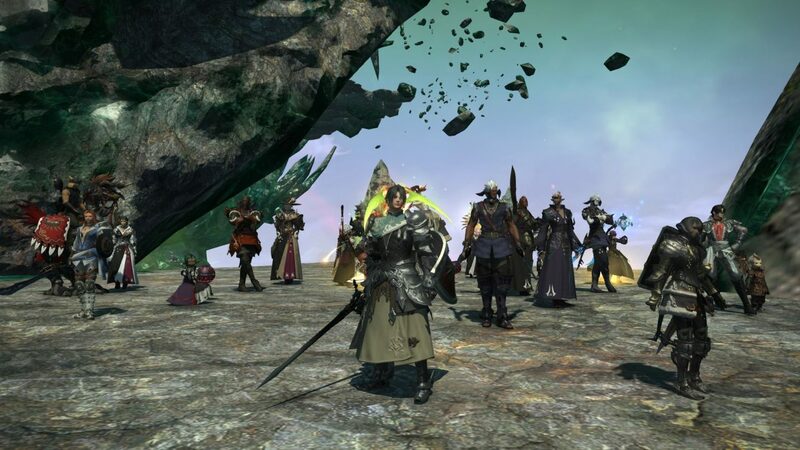 While it’s true that there are performance issues with the Mac version of FFXIV when compared to its Windows counterpart, there were calls for a Mac version. Some people want to do things properly and run a Mac game on a Mac PC, while others have a high-end Mac and aren’t bothered by the difference in performance. It was to cater to such users that we made the decision to make and sell a Mac version. As we moved ahead, however, we committed a great many mistakes, in particular with the preliminary announcements, which resulted in a significant gap between the level of performance we sought to deliver and that which our players expected. I would like to offer my deepest apologies for the disappointment these misunderstandings have caused. With regards to our decision to use middleware rather than having native OpenGL, the biggest reason behind this choice was development cost. As I mentioned earlier, very few games are sold for Mac systems, and the prevailing opinion is that the majority of Mac users aren’t interested in games. This results in an extremely high risk for development. Taking into account FFXIV’s high-end graphics, and the need to simultaneously render multiple objects, we determined that it would be near impossible to provide the same frame rate in native OpenGL that could be achieved with DirectX. Any steps we took to improve the framerate for native OpenGL, such as reducing the number of characters on-screen and simplifying graphical expression, would impact the overall quality of the game and its graphics and leave users wondering why a game developed for native OpenGL looked worse than it did on DirectX. It was this high cost of development versus the poor potential performance that steered us towards our eventual decision. We came to the conclusion that employing the assistance of outside engineers specialized in Mac systems and making use of middleware would be the best road to take in realizing a Mac version for FFXIV. These engineers will continue to roll out dedicated updates, and middleware improvements will also be ongoing. As Kasuga has previously commented, the FFXIV team will be also be hard at work on updates for the Mac version, and will continue to push for the best performance possible. With the adoption of DirectX11 for Mac, and the replacement of OpenGL with a new graphics API in Apple’s next OS, the fundamental gap in current performance issues may soon be eliminated. It bears repeating that hefty hardware demands must be met before OpenGL can support FFXIV’s advanced graphics and simultaneous rendering of multiple 3D objects with the same stability as DirectX. Once more, I sincerely apologize for not providing a preliminary explanation of this issue. As stated above, we will be sure to make timely announcements detailing system requirements and more to prevent any similar confusion in the future. We have received a large amount of feedback concerning the Mac version, but as there was no official template for Mac users, we were unable to receive an accurate report of system specs. As was mentioned previously, system requirements were late in being announced, with the final announcement falling after the release date. Please accept our apologies for the confusion caused by this delay in communication. We will soon be posting a comprehensive announcement for the Mac version, including details on system requirements and screen resolutions, after referencing the information found in this announcement, you are still experiencing issues with performance or running the game in general, please use the Mac-exclusive form to file a report. We will prioritize any issues that interfere with running the game on machines that meet the requirements. With regards to IMEs, the Mac version currently only supports the OS’s default IME, but we plan to provide support for additional input editors in future updates. For those Mac users who prefer a different IME, we ask for your patience and understanding until these updates are implemented. The mistakes made by the development and operation teams in the lead up to this release have caused considerable confusion and trouble. 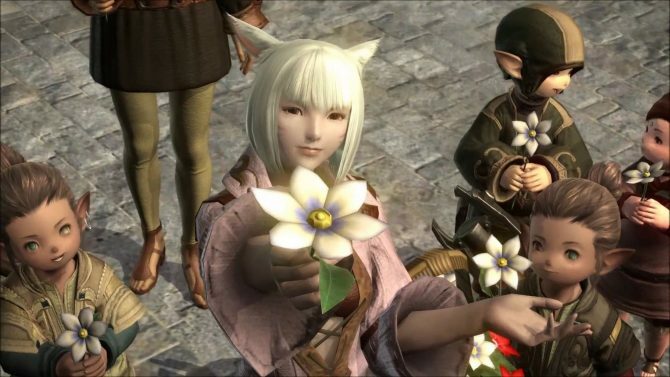 To our customers who eagerly anticipate purchasing, or who have already ordered, their copy of the Mac version of FINAL FANTASY XIV, and to all of our distributors, we offer our deepest and most heartfelt apologies. We aim to recommence sales of the Mac version as soon as we are satisfied that the product information and system requirements are properly prepared. And to those players who are already playing the Mac version in the required system environment, we deeply apologize for the ongoing inconveniences. When developers and publishers screw up, they often hide behind their marketing departments, or try to sweeten things up by deflecting responsibility. While the mistakes made are indeed pretty serious, Yoshida-san shown everyone how you behave when something like this happens.